Confessional here. 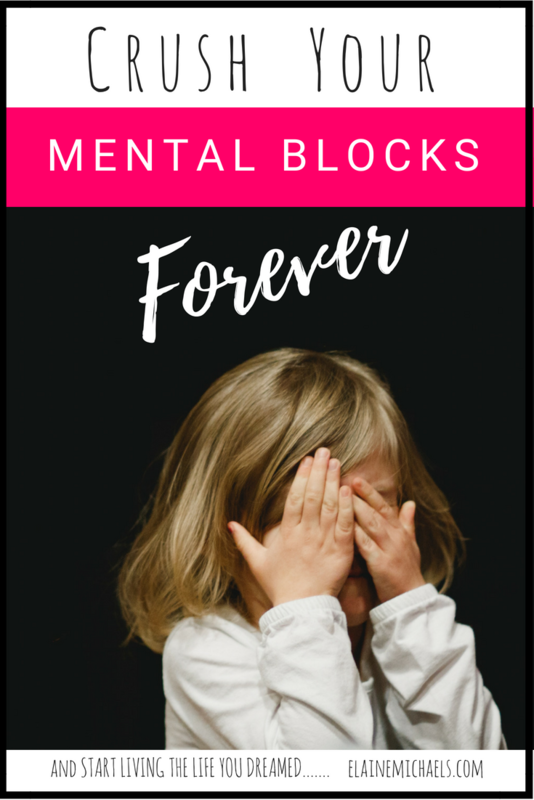 Only because I've been crushed that I can write this post about how I overcame these top mental blocks to start moving towards success. Three years ago, I couldn't understand why I wasn't excelling in my business. 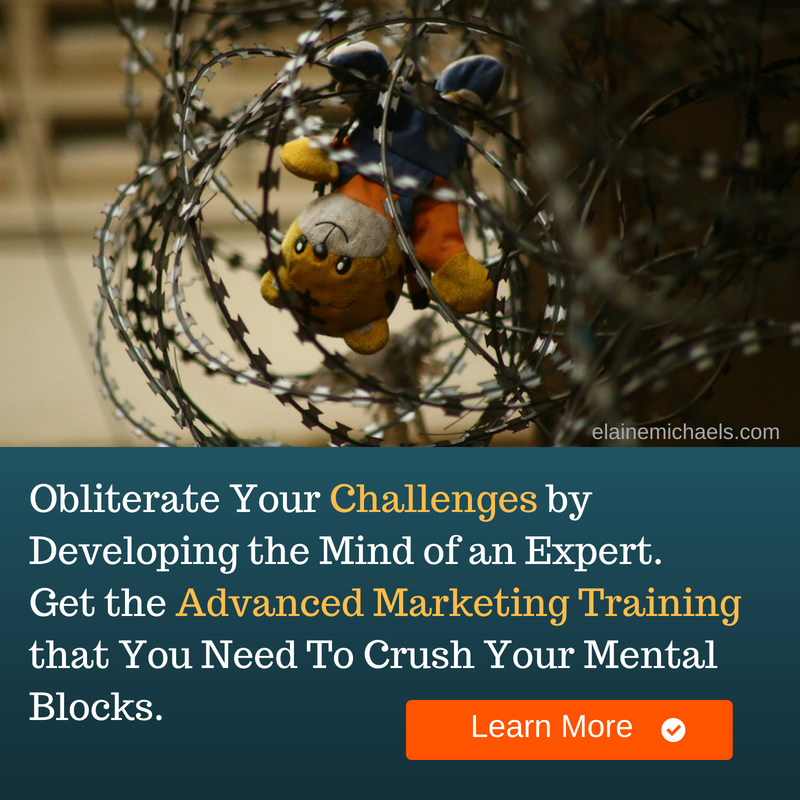 I was doing what I thought I needed to do to grow a business but my mental state was not in the right place. I had enormous mental blocks right in front of my face. Truth be told, I thought I could jump from employee to entrepreneur over night and be successful. I had not put a single minute into any training. I had not researched what skills I needed to make sales. Thinking back, I don’t know why anyone would want to join me.. It wasn't until I hit rock bottom did I realize the one thing that was left… my attitude. I happen to listen to a video by Jim Rohn and something in particular hit my heart.. hard. Personal Development. I can not taken the time to develop to Become the Person I needed to be. The biggest hurdle? Myself. I needed to crush the mental blocks that were holding me back. That sent me on a whirlwind self-transformational journey. I wish I could tell you it was a rosey journey but I started to realize the layers of junk I needed to overcome to allow my inner being to grow! Who was I to call myself BossLady? I knew I could work for myself, but when I learned that if you have 1 person on your team, you need to be a leader. I had never been responsible for leading a team, or a managerial position for that matter. I didn't think I could fulfill the role if I had not had any experience!! #Truth. Here's the thing. Most managers or leaders, you will learn did not have the experience either. You learn as you go and have moments of reflection, what did work, what didn't work, and then continue to develop those skills. No one is BORN a leader. Leaders are only forged in the flame. So the best thing is to take a leap of faith and learn through experience. Spend some time investing in yourself, its the best way to boost your confidence. If you need, get a few mentors or better yet, get a 1-on-1 coach to get there faster. Being Asian American, I grew up deep in a culture that stressed that you needed to project humbleness in order to avoid bringing shame to your family. There was an understanding that no one liked a braggart and by showcasing your gifts or your talents, you would ‘lose face', especially so if you flopped and fell on your face. Growing up FAILURE was something you avoided at all costs. It becomes engrained from a young age that lawyer, doctor, or engineer were the career choice paths. And Entrepreneurship was something that seen as a TOP FAILURE career. I took the easy route and went healthcare because it was easily acceptable career. When I decided to take the leap into Network Marketing, I had to deal with acceptance of failure. I head to rewire my brain to think differently. I had to be OK with Failing Forward and once I adopted that belief, so many things have changed. #Truth. Once I divorced myself from these deep rooted limiting beliefs, I learned that they simply are not true! If you have the WILL, you will find a WAY. If it is your passion you are pursuing, you CAN break-free from the things that are holding you back (most likely those blockages that are inside your mind) and have a breakthrough in your life and your business. Somewhere along my entrepreneurial journey, I learned that it was less and less about the company and $$ but more of the self-awareness process. I thought about why moving forward was so difficult for me? I knew the direction that I needed to move in yet, I felt stuck. I started recognizing the layers that encased me. And they were layers built up from experiences I had in my past. I created my own cocoon. My own protection. And that was in fact holding me back. These layers had built up from my past. I was the youngest in the family. I grew up being told what to do by several people. People naturally stepped in to do things for me. I was almost rendered helpless. These thoughts and low expectations of self, came with me when I became an independent adult. And I held myself back from many things because what had been stamped in my brain that I probably couldn't. Until one day in my late 30's this Jim Rohn quote struck me. #Truth. I started to deal with my past and not let it affect me and continue to hold me back. My past does not dictate my future! The past only serves to show you how far you have come. Keep your focus on what's ahead and the possibilities. This one in particular was the most difficult hurdle to date. My Pain. For most of my life, I just shoved this aside and kept moving along. I became an expert in shoving the pain deep. Unfortunately, I didn't know that it would eventually explode.. or implode in my case. I couldn't hold back the emotions and BOOM everything at the time felt was crashing down. Relationships I had were falling apart, my health was deteriorating, my confidence was shot, and I was in a constant state of unhappiness. Finally in my mid 30's, I somehow, knew I needed counsel. I flew to meet up with a former pastor and his wife for a lunch date which would become the most pivotal lunch in my life. I walked away with a greater understanding of myself and a book recommendation, Boundaries by Cloud and Townsend. I brought this book to study with my small group and started to apply what I was learning inside even just the first 3 chapters. This led to meeting up with a friend who shared a methodology she used to deal with her pain. We went through it together. This deep understanding helped me be able to get clarity on my purpose and what I was searching for all my life. A deeper understanding of self. I had an action plan anytime I found myself in my Pain cycle. Identifying my pain, my truths, and my action plan to combat my pain has helped me tremendously. This alone catapulted my journey into the online space and gave me confidence to dive fully into entrepreneurship. #Truth. We all have pain and most of the time, stems from our childhood. If you're finding that you're constantly stuck whether it's in relationships, your health, life or your business. Identify your pain, put a name to it, and then take the steps to find your truths. The tough part is to weave these into your heart to equip you for dealing with your pain. Pain doesn't go away but it's how we deal with it and keep moving beyond it! If you're feeling sense of doubt, take heart, and RISE ABOVE. The best cure to mental blocks is ACTION and LEARNING. now go out and take the very next step! I think the last one is key. You have to be able to move on and learn from your mistakes. yes yes yes! moving forward to learn from mistakes is so key and to stop dwelling in sorrow! thank you for such a great article! I think to be successful and achieve anything in life you have to be kin£ to your self, embrace failures as learning curves and move on to improve where you have gone wrong. I love all your suggestions in your post. We all want a success in our life, and for it, we all have to hard work. All these 4 tips are the basis of it. It’s not always easy for individuals to over come blocks that prevent them achieving. The first step is up to the individual to want to do this which can be a big obstacle to start with. I think my biggest mental block is that I have these huge dreams but I don’t break them down into do-able pieces and then I just give up. You have some really good ones on this list too. Moving on from the past is so important, but such a hard thing to do. We all need to believe in ourselves a little more. This is wonderful to read as a blogger. I can definitely doubt myself. I need to just go for it. Also the part about pain is great. It’s true that we need to recognize it and find my ways go work through it. And I need to take care of myself. This point was the most difficult for me too! I didn’t know this was the major resistance that was holding me back in life. I learn from my kids everyday what it is to be childlike. Sometimes we need to revert back to the simplistic life to see our truths! Totally humbling experience. Good luck!! This is so true and so helpful too! I often doubt myself and find myself wondering can I really succeed at all I plan to, I need more self belief! I am working on divorcing my past. Thank you for the advice and your efforts to help others succeed. I like the idea of divorcing yourself from your past. You have to limit the negative talk and self doubt if you are going to succeed. You only have the things which are before you. It’s true that sometimes, we stop ourselves from reaching our dreams because of our fears or our self doubt. I think these are all very important things to overcome! I always try to think of my past, good or bad, as part of my education in life. There’s always something to be learned in every situation. I try not to dwell on the past because you can’t really do anything about it. All you CAN do is move forward and think of how to remedy any bad situation or turn it around in a positive way. We create our own boundaries… I’m glad you changed your outlook and figured it out how to go about being an entrepreneur! Everything we really truly want comes with fear, anxiety, stress, BUT happiness on the pursuit and excitement… we just have to keep reminding ourselves of our ‘WHY’ … I wish you success and happiness! 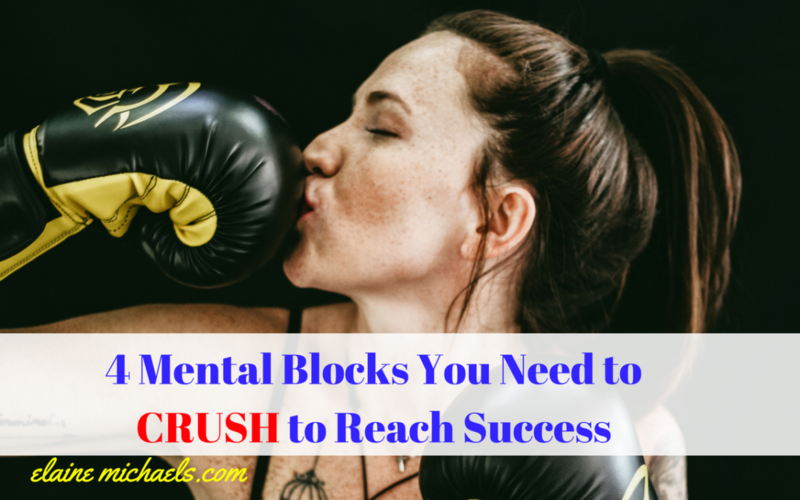 great 4 mental blocks to crush!